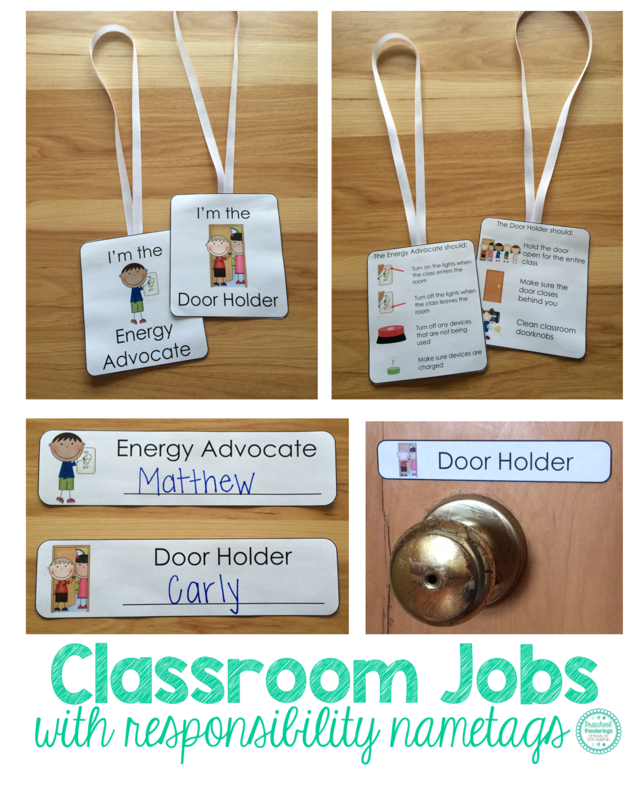 I love the idea behind classroom jobs - children are responsible for taking care of the classroom, therefore taking ownership for their room while learning responsibility. In theory it's wonderful, in practice it tends to be chaos that takes more time than it's worth. I would start classroom jobs every year, and after a couple of weeks they would slowly fade away. This was usually because the children weren't able to actually do their jobs on their own, and I didn't have the time to follow each student around and make sure that they completed their responsibilities. Now I work with teachers, and I have a really hard time recommending things that never worked for me, so I set out to find a way to make classroom jobs something that preschoolers can do successfully and independently. I think I've got it. 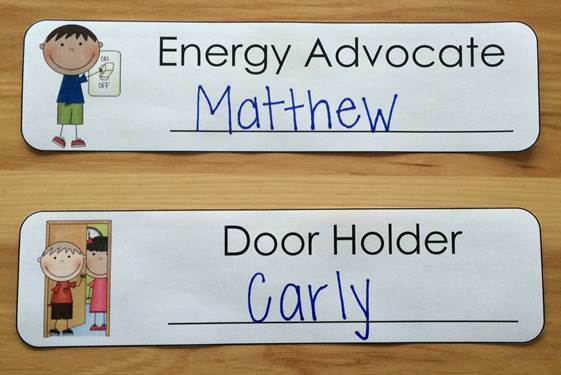 First, the children never remember which job they're supposed to do, so I created name tags for each job. The children can find their name, and look at the picture to determine what job is theirs. 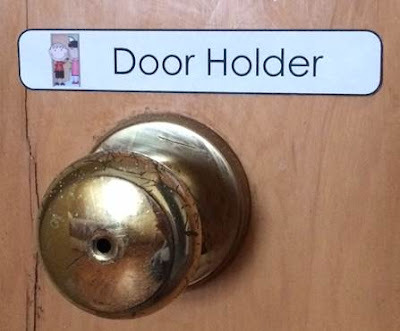 I laminated mine and use a dry erase marker to change the jobs each week. The next problem with classroom jobs is that the children have a hard time remembering their jobs and where to find all of the materials that they need. 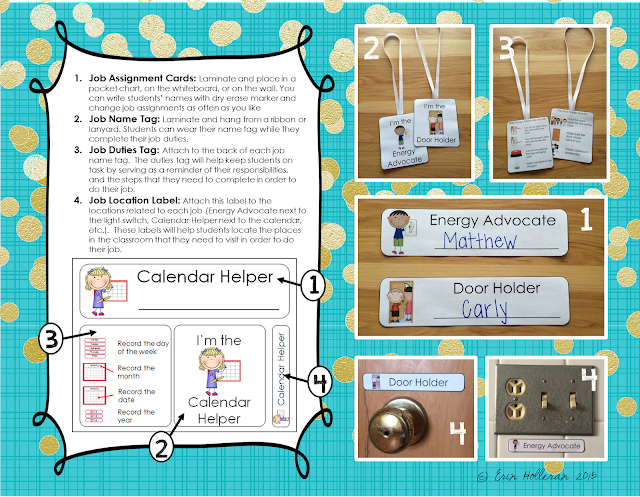 I made some job labels to place throughout the room near the tasks for each job, this way children will see them throughout the day and have constant visual reminders of each job. Finally, and most significantly, children have a really difficult time remembering all of the steps that need to be completed in order to fulfill their responsibilities. To help with this I made responsibility name tags. 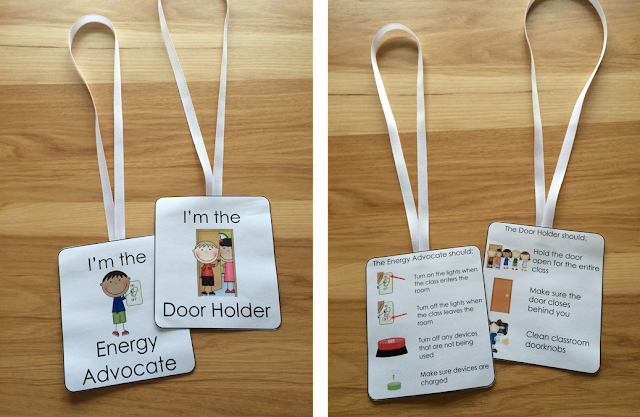 The children can wear these and look at the picture to-do list on the back of their tag as they do their jobs. The other issue that I've always had with classroom jobs is that it is really difficult to find enough jobs for every child in the class to have a job every single week. When I made this set I added as many jobs as I could think of, including; Calendar Helper, Energy Advocate, Snack Helper, Table Cleaner, Weather Reporter, Door Holder, Gardener, Line Leader, Pet Keeper, Supply Manager, Custodian, Librarian, Messenger, Pencil Sharpener, Recycling Director, Chair Stacker, Lunch Helper, and Bathroom Monitor (boy and girl), many of these can also have multiple students who share the position, so that everyone gets a job. If you want to try this classroom jobs set in your room, or get more details, they are available in my TPT store!